Is your air conditioner emitting foul smell? 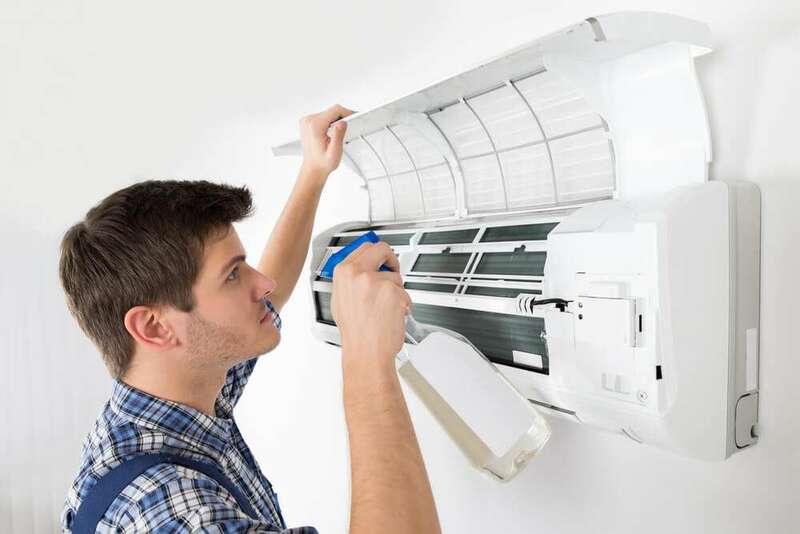 Home » Uncategorized » Is your air conditioner emitting foul smell? If you think your air conditioning system is releasing nasty odors every time you use it, you may be pondering if that’s normal at all. Different causes can make the cooling unit release different kind of smells. Scroll below for the most common causes of this. It’s summer an the air conditioner might seem to be your best friend, but not when mold and microbes are residing inside that can make you sick. If you notice a musty smell like that of a dirty sock, it could probably hint to mildew and bacteria building up within the system. Hot temperatures and rain set your unit ready as potential breeding grounds for bacteria. No wonder why health officials warn us always for these dangerous microorganisms. A more serious but common issue is a pest problem or a dead animal within. This could give rise to rotten egg like smell when you kick on the air conditioner. It may surprise you but to invade your home pests do make use of the system. Beetles, termites, roaches, ants, bugs and even rodents can attack your house through the little openings in your outdoor air conditioning service unit. The condensate drain line is planned to grasp and drain away condensation that falls off your evaporator coils. When this system gets jammed, the standing water trapped inside can in no time cause the growth of mold and bacteria. Clogged condensate drain line of your air conditioning unit can be the cause of the gross smell. Sometimes when you don’t manage to clean your condensate line, the efficiency of the system to run smoothly can be adversely affected. Sometimes a backed up sewer line as well as a ruptured sewer vent pipe near the duct system may cause the odor to emanate. Your entire home can smell like sewer with a little methane gas from the sewage leak entering into the ductwork. Since methane gas can be very hazardous, as soon as you smell sewage odor call for air conditioning technician without any delay. Your air conditioner works not by gas but electricity. Still the engine and a few other components as well consist of fluids that can leak out. You may suspect a smell like exhaust fumes permeating your home in such a case.